command. 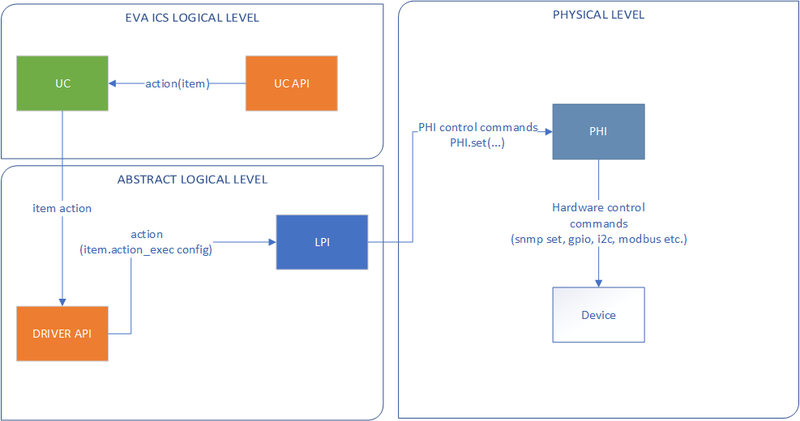 Note that UC host doesn’t need to have a direct connection to the host you download PHI from, module is downloaded first to the host where uc-cmd is started, verified and then automatically uploaded to the controller. Advanced usage: EVA item can have different drivers or scripts for actions and updates. To assign different drivers, modify item properties action_exec, update_exec, action_driver_config and update_driver_config (e.g. with uc-cmd config props). Driver is assigned to the property with |driver_id value, e.g. |v1.default. Use commands uc-cmd phi unload and uc-cmd phi unlink to unload and unlink unnecessary PHI modules, but note that driver and PHI can’t be unloaded while they’re assigned to items. You must first assign a different driver to the item or use uc-cmd driver unset command. When assigning driver containing basic LPI mod to the specified item (uc-cmd driver set), the assign configuration should contain port number (-c port=N) which usually matches the physical relay port. 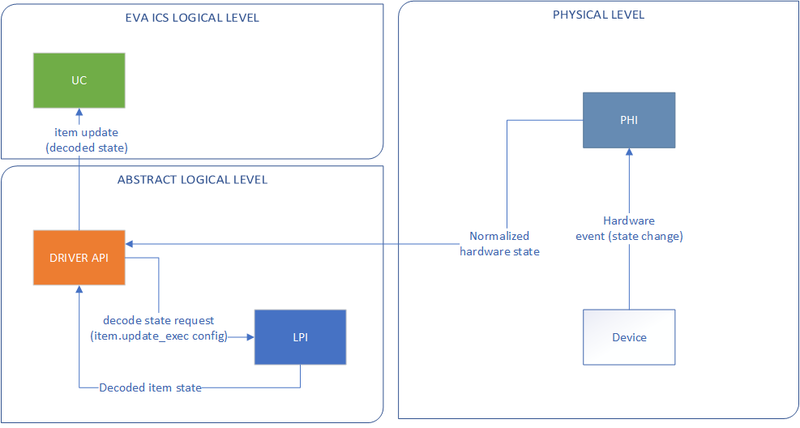 LPI doesn’t provide action functionality. 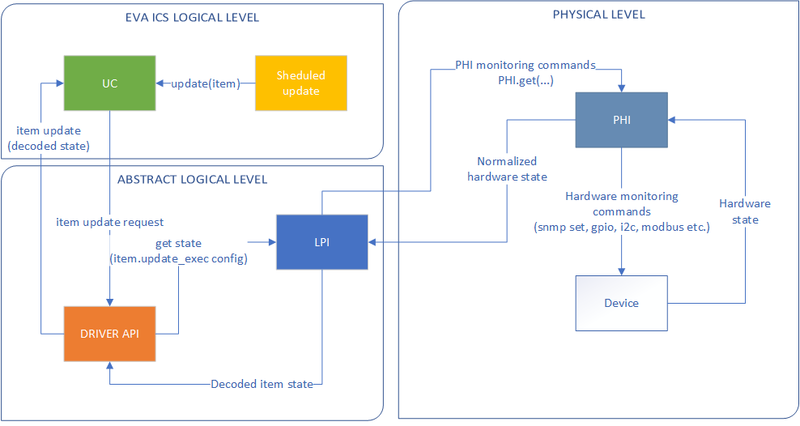 When assigning driver containing sensor LPI mod to the specified item (uc-cmd driver set), the assign configuration should contain port or bus address number. All of cfg, get and set have an option host which should be defined ether in PHI configutation (uc-cmd phi load with host config option or in item driver configuration (uc-cmd driver set with _host config option). Setting different host option value in item driver configuration lets one sr201 PHI manage all available SR-201 relays. As soon as the driver is assigned to item (uc-cmd driver set), it starts getting state updates every 5 seconds. The module will flash new unit ID into hardware and change unit ID in self configuration. Don’t forget to restart the hardware to let it be accessed with new unit ID and save PHI config (uc-cmd save).